Interview with the Italian singer, Kirayel, about her solo project and the new album. She is also the vocalist of The Way Of Purity. Hello Kirayel, how things are going? Tell me about you, when did your passion for music start? I was very young, about 3 years old maybe. My mother saw me dancing to music and sing all the time, so she enrolled me in a children’s choir first and then, at the age of 6, in a piano course. Then the passion has grown little by little untill I understood that it was my way. I’ve always felt music in me, as something natural I was born with. 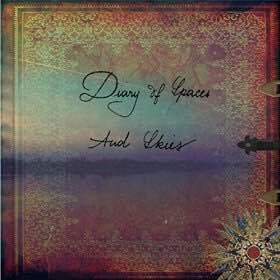 This year you have released the album ”Diary Of Spaces And Skies”. Tell me about it. Yes and I’m really proud of it! It’s a little, intense visual and emotional Diary of my life, of the people I met, of the places I saw and all the things I’m still bringing with me in my heart and in my eyes.The title is taken from my photo album; in my mind the music flows just as you live and feel all the picture of your precious moments. Beyond the intimate and intense music, it has a specialfeature, it has been recorded with double binaural technique,this means that two particular and sophisticated head shaped microphones , called for this reason ‘BIG HEADS’ (Ku100 Neumann) have been used , to record in stereo (because every ‘head’ has two microphones in the ear).They can catch the sounds from the ambient and environment the way they are, so you can hear the sounds in the space! It’s a 3D music experience!!! All the things you can hear are just real, nothing is added in post-production, no effects, no voice tuner, just piano and voices with the natural reverb of the ambient. Other artists enjoyed Binaural (Tom Yorke, Pearl Jam, Jolly etc). This is the first Ep recorded with the two heads. Did you receive good reviews? Yes, really great reviews!! I’m so glad that my voice , my songs and all the acoustic experimentation are all together so appreciated. You had an opening show for Mick Moss of Antimatter, how was it? Ooh!! So great!! I really enjoyed that show! It was really exciting playing my intimate songs with just piano and voice in front of an audience and it was a great experience meeting and playing with Mick Moss! I really love his voice and style! Are there more shows confirmed? Yeah, and I’m really glad ! In The Way of Purity I can express what I think about Nature, Human wickedness, hypochrisy and for me, as a vegan, this is really important! Do you have a message for the people who enjoy your music? In my music I always put everything I have, every part of my life, strength and weaknesses, and above all my heart. Appreciating my music means sharing my emotions and my world…it means a lot for me and I want to thank all those people who did and who will do. Thank you Kirayel, all the best! You too Carla! You’re always welcome!